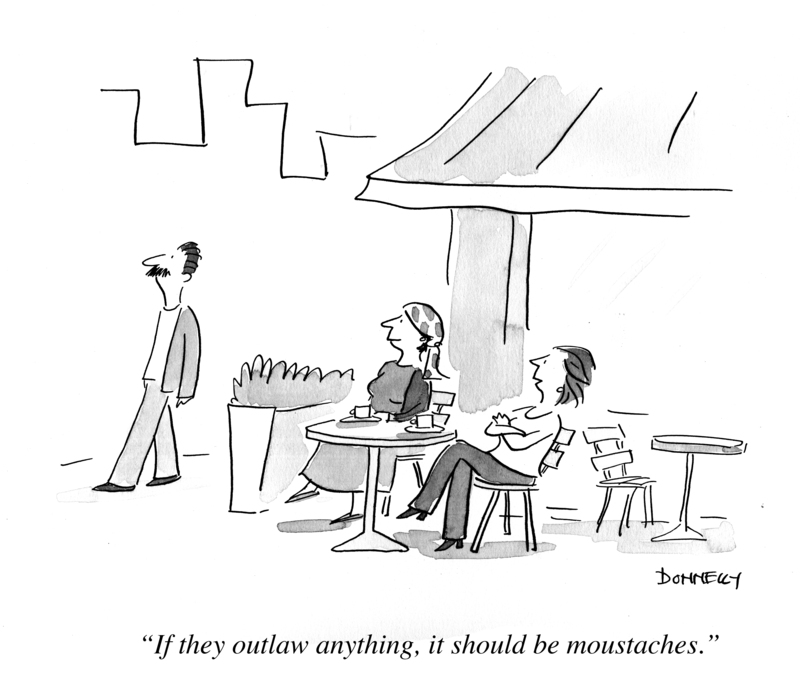 My Issue With Moustaches | When Do They Serve The Wine? I have issues with moustaches. The woman in this cartoon may have her opinion, but the man is free to do what he wants. Because even more so, I have issues with anyone telling anyone what they should or should not wear. If you want to wear an odd shape of hair on your face, you should be allowed to. If you want to wear boxer shorts to the opera, a top hat to Wal-Mart, six-inch heels to a feminist rally, you should be able to. This entry was posted in Random but Relevant. Bookmark the permalink.